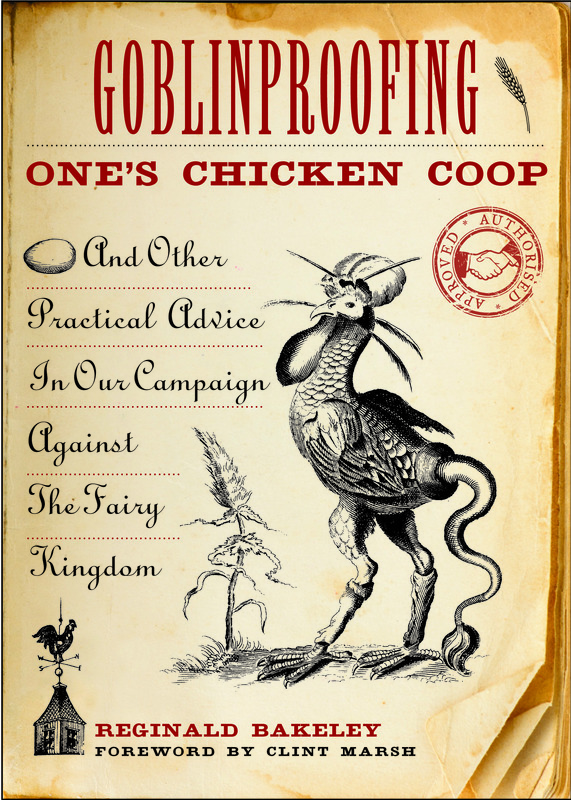 You may recall my earlier review and interview with the one and only Reginald Bakeley, author of Goblinproofing One’s Chicken Coop. I’ll be straight with you: Reginald is a scamp. He knows more about the fairy kingdom than any one I know, and he has the gift of the second sight. But if you ask him, he’ll tell you it’s a curse. While I agree with Reginald that the fairy realm is not one of sweetness and gossamer-winged light, when it comes to waging war on the beasties and nasties we differ. I want to befriend them, run rampant with those troublesome gnomes and bewitching flower fairies, he wants to (I’ll be blunt) kill them. Or at least maim them. This entry was tagged Church of Mabus radio, Goblinproofing One's Chicken Coop, Jeffery Pritchett, Reginald Bakeley. Bookmark the permalink.